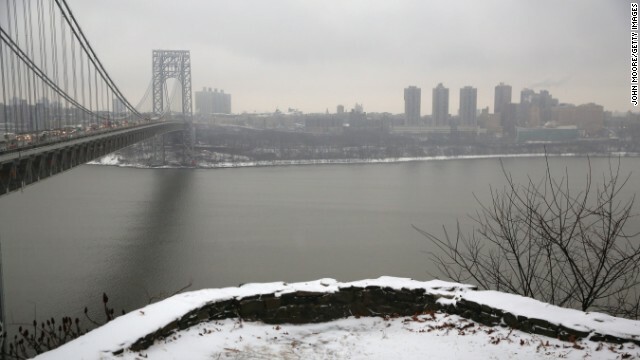 (CNN) - Despite calls from Republicans to wrap it up the Democratic co-chairs of the New Jersey legislative committee investigating the lane closures at the George Washington Bridge last September will issue a new round of subpoenas for witnesses as early as Monday. Working off a list of 13 potential new witnesses, committee co-chair John Wisniewski said there are many more questions to be asked of people in Gov. Chris Christie’s administration in the wake of testimony from the governor’s chief of staff earlier this month. “We looked at the material that we have, the unanswered questions we have and figured out that these people might shed some light on our unanswered questions,” said Wisniewksi, a Democratic assemblyman. Among those questions – why did chief of staff Kevin O’Dowd not take any action in the wake of the lane closures scandal when Bridget Kelly told him that she sometimes deleted work emails? O’Dowd stated under oath that he did not ask Kelly whether she destroyed any emails on the topic of the lane closures and he gave her the benefit of the doubt because she had always proven to be a trustworthy, hardworking employee. Deleting emails would violate rules for public employees in New Jersey that require them to preserve all work records. Kelly sent a now infamous email to David Wildstein at the Port Authority of New York and New Jersey that read, “Time for some traffic problems in Fort Lee.” Wildstein has been cited by several witnesses under oath as the person orchestrated the lane realignments that resulted in four days of gridlock in Fort Lee, an apparent act of political retribution targeting the town’s mayor. While the committee’s investigation has been going on for six months the key question, who ordered the lane closures and why, remains unanswered. Assemblywoman Holly Schepisi, one of four Republicans on the committee, says they already know enough in order to write reform legislation for the bi-state transportation agency that oversees the George Washington Bridge and other crossings. Referring to the working list of potential new witnesses, Schepisi said the problem is they aren’t bringing in anyone “that can actually provide testimony for meaningful reform on the Port Authority.” She said they have not been calling the right people. Schepisi and her Republican colleagues on the committee want to hear from people who were actually working at the bridge while the access lanes were closed. Wisniewksi shot back that they already heard from several Port Authority employees. “The people who were working at the Port Authority already testified in front of the Assembly transportation committee under oath, testified under oath that they knew that it was wrong but they also testified that they were afraid for their jobs if they raised an objection,” said Wisniewksi. The legislative investigative committee is scheduled to meet again on July 8 at the state capital in Trenton. The list of potential witnesses includes the governor’s chief counsel, Charles McKenna, and one of his principal political advisors, Michael DuHaime. While state lawmakers move on with their probe, the U.S. Attorney in New Jersey continues to bring witnesses before a grand jury in a federal criminal investigation into the lane closures and other allegations of abuse of power. Across the Hudson River, the Manhattan District Attorney and the Securities and Exchange Commission are working on their own separate investigations simultaneously. They’re looking into whether the Christie administration misled bond holders when they redirected Port Authority funds to pay for badly needed repairs on the crumbling Pulaski Skyway, a state-owned highway in Jersey City. Christie has said on multiple occasions that there was nothing illegal about the funding. He said many lawyers signed off on the move to call the skyway a Lincoln Tunnel access road even though it’s more than seven miles away from the tunnel. Christie said there was a robust, public debate about the repurposing of Port Authority funds and there was no attempt mislead anyone. "Deleting emails would violate rules for public employees in New Jersey that require them to preserve all work records. " Isn't there a rule, or state law, that requires employees to conduct state business on electronic devices and accounts provided by the state? Isn't it illegal tor state employees to conduct state business on their personal devices and private accounts? It should be. I know it's illegal in Alaska because that's what got Palin's administration into hot water. This witch hunt to try and knock Christie out of the 2016 race, is getting really old. Call it what it is........a political agenda, based on nothing but partisan politics!
" Despite calls from Republicans to wrap it up..."
lol. irony, republicans legislators be thy name. As the State of NJ struggles to balance their budget, the Democrat witch hunt meant to smear Chris Christie continues to run up millions in expenses. THIS is the REAL SCANDAL! The State of NJ should sue the Democrat Party to recoup the tens of millions this clearly partisan witch hunt is costing the tax payers of NJ. "why did chief of staff Kevin O’Dowd not take any action in the wake of the lane closures scandal when Bridget Kelly told him that she sometimes deleted work emails? " Looks like the IRS isn't the only government agency losing e-mails. "As the State of NJ struggles to balance their budget, the Democrat witch hunt meant to smear Chris Christie continues to run up millions in expenses." After Christie spent several million on legal fees to produce a flawed self-serving report that exonerates him and which polls show nobody believes or finds credible....well, that just makes your statement look foolish. And BTW, the state of NJ is struggling with its budget because the Bloviating Blimp cut taxes for corporations and the wealthy. Yeah..who knew...when you eviscerate your income stream, it becomes hard to meet your obligations...freekin surprise of the century. But there's a difference. Even when an email is deleted, it's recoverable. In the IRS fiasco, on the other hand, they're claiming they can't be recovered. Who are the dems looking for a liar well look no farther my my ? Bill Hillary Anthony Weiner 0bama Polosi Harry Putin on and on there you go . Chris C. is not a liar . You mean just like Hillary Clinton's ARB sham?!! At least Christie's investigation interviewed HIM! Why wasn't Hillary Clinton interviewed by the ARB? So much for accountability and credibility on her part. Where would they recover it from? For whatever reason, the IRS recycles their server backup tapes every six months, which means recovering it from the email server is not an option. The only remaining possibility would to recover emails from people she had traded emails with, assuming that those other parties saved, or archived, emails, and still have the files. This "erased tapes" excuse is the same one offered by the Bush administration when they failed to produce some 12 million emails, except six months had not yet elapsed. This REAL GOP SCANDAL is the REAL DEAL and the way the GOP conducts business as usual. This will keep Christi OUT of 2016 and they DONT have anybody else worth voting for. (CNN) — Despite calls from Republicans to wrap it up the Democratic co-chairs of the New Jersey legislative committee investigating the lane closures at the George Washington Bridge last September will issue a new round of subpoenas for witnesses as early as Monday. Ok so the GOP can call for the investigation to be wrapped up after a few months but we have to endure years of Benghazi BS even after no wrong doing has been uncovered? Wow. The GOP sure has a lot of power. I guess this explains how the media keeps their faux scandals hyped up in the news daily. Oh and I suppose the Benghazi conspiracy theory is a serious non-partisan investigation. Were you up in arms when Christie wasted millions on a separate election for senate so Corey Booker would not be on the same election day as Christie's re-election.